Hy-Vee Corporate Expansion — LT Leon Associates Inc.
Hy-Vee and the multi-disciplinary design team developed a two-phase master plan to expand facilities on Hy-Vee’s 29-acre corporate campus. LT Leon served as Civil Engineer for the phased design and construction project. The proposed improvements included an expansion to the existing conference center, a four-story office and underground parking addition, a new loading dock, and 5.8 acres of revised and new parking lots and drives. LT Leon performed a detailed investigation to identify and analyze existing utilities on the site and within Public Right-of-Way. Existing plans, calculations, maps, and codes were reviewed. Due to the current City codes and the location and sizes of many existing utilities, several utilities required relocation and replacement. 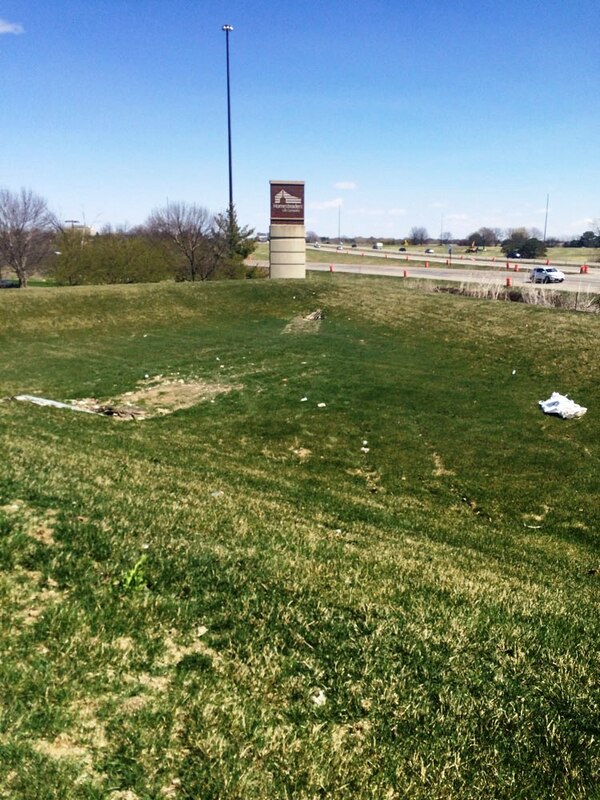 Existing stormwater management facilities were not adequate to meet current City code. 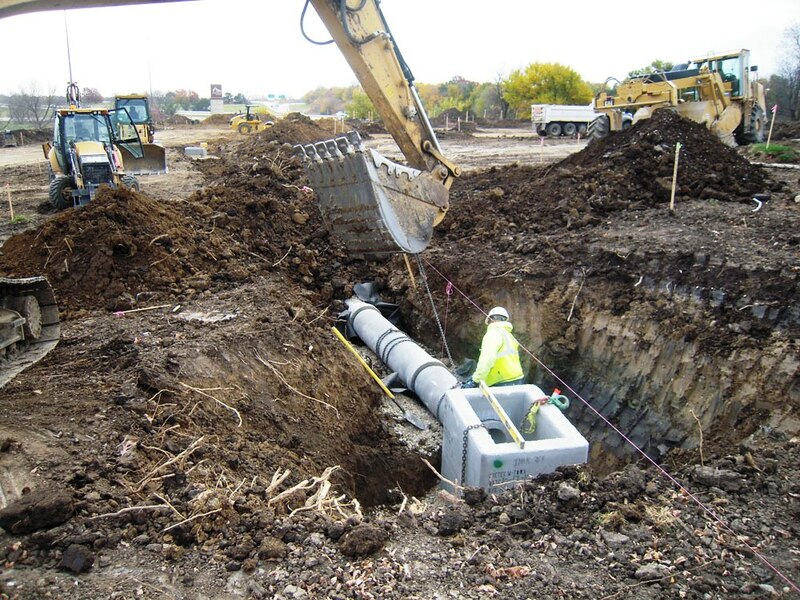 LT Leon developed a drainage plan that minimized impact to existing facilities while increasing detention to meet increased peak runoff flows created by increased impervious areas. LT Leon developed engineering plans and specifications for the improvements, including site demolition, utilities, stormwater management, and erosion control. The SWPPP and NPDES permit were also provided. The design process was fast tracked to ensure construction schedules would be met. LT Leon also provided construction oversight for utility and drainage improvements.